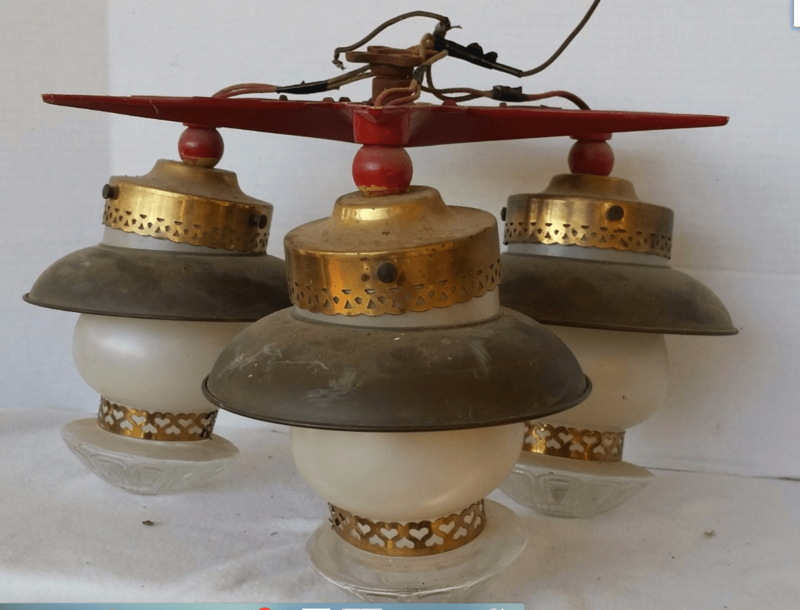 I buy a lot of vintage lighting fixtures online. One of the nice things about doing something for a long time is the ability to recognize SPECIAL even when presented poorly. 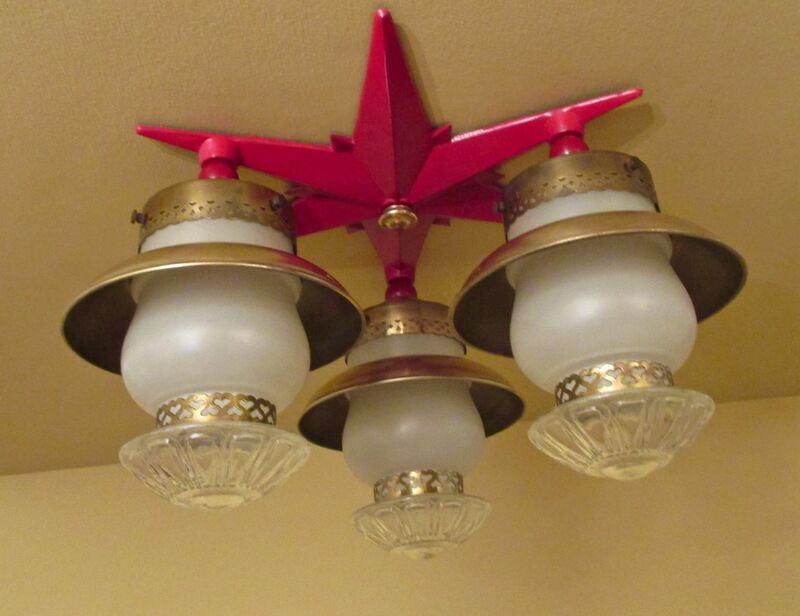 Such as this fixture. Yikes! What a mess! Yikes! 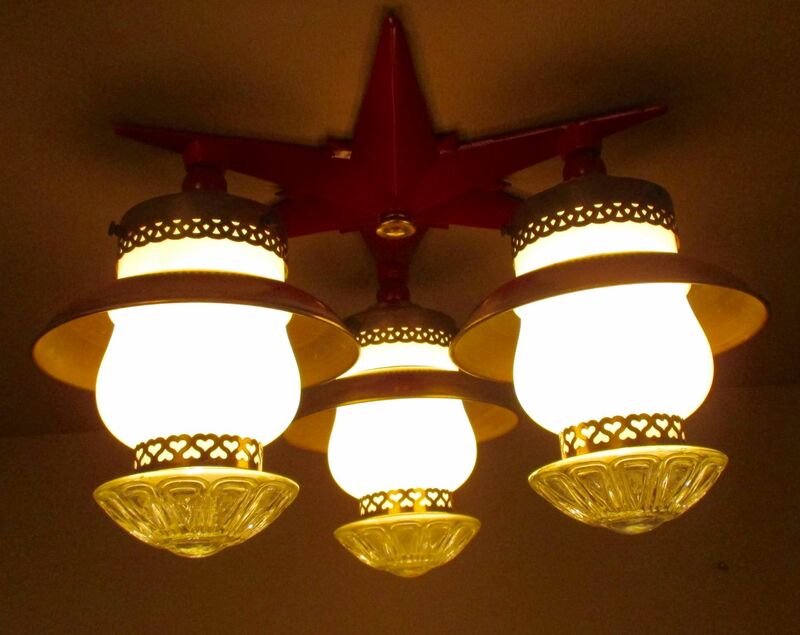 But…I instantly recognized the fixture as being one of my favorites: A 1940s beauty by Lightolier. And, oh baby, I do love Lightolier. My heart skipped a beat when I came across this fixture. And, properly presented, may I please introduce you to Knock-out! Could any heart not skip a beat? Oh my! Call an ambulance!